Most players dream about hitting a large progressive jackpot in their lives. The very idea of winning millions of dollars after a single spin is what brings thousands of visitors worldwide to land-based and online casinos. Progressive games have a jackpot meter that increases after coins are played on the game. A small percentage of every bet goes to the jackpot, allowing it to grow bigger every day! But how realistic is it to hit a progressive jackpot? The odds vary considerably for each progressive game. The odds of winning a million-dollar progressive range from 1 in 50 thousand to 1 in 50 million! 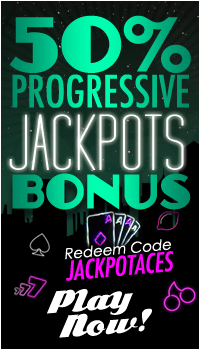 Nonetheless, it is not impossible to win these or lesser progressive jackpots; in fact, there are several winners each year within Uptown aces (RTG) progressive network. Let’s have a look at the different types of progressive jackpots games currently available in online and land-based casinos. This is certainly the oldest form of a progressive jackpot and can be found in small brick-and-mortar casinos. Besides having its fixed pay table jackpots, the slot machine also has a progressive jackpot that increases based solely on the coins put in that machine. The progressive jackpots on these machines rarely go above a few thousand dollars. The next type of progressives is easily found in most casinos. At Uptown Aces they are called Real-Series slots. These games are linked within the casino and the jackpots are feed by the bets placed on these games by players within the same casino. Some local progressive jackpots are random: they do not require that you hit any special symbols and may be won at the end of any spin of any bet size! These are the largest jackpots since they are feed by the bets placed on the machines throughout a network of multiple casinos or states. Uptown Aces, which is powered by Real Time Gaming (RTG), has several multi-million dollar progressives that have been growing thanks to bets placed by thousands of players in RTG casinos. The great thing is that you can win the entire Wide-Area Network jackpot by playing these games at Uptown Aces! In the opposite section we will review the most popular progressive games that you can play today at Uptown Aces, These games have over $5,000,000 in progressive jackpots and are constantly growing. Could this be your luckiest day yet?! Play with a 150% True Jackpot Bonus up to $1,250! Get 100 Loyalty Spins to win up to $500 EXTRA!